Minimize the effort spent on chorus business, and spend more time on your goals. 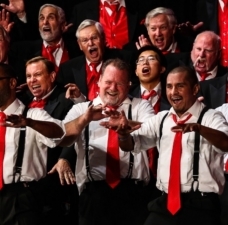 When Voices Incorporated (“VI”) was founded in 2016, one chapter goal was to maximize quality singing time. We can only rehearse twice per month, so helping members focus on singing skills was critical. We wanted to avoid a long list of non-singing jobs and we found some creative solutions that may also work for your chapter. The “Do Less & Sing More” methodology is based loosely on modern engineering processes: tasks are intentionally ignored until they’re truly important. For every potential task, ask yourself “is this needed now?” and act based on the answer. You may discover that your chapter is spending time on non-singing tasks that are not advancing your singing goals. Paired with modern tools, we’ve found this to be a powerful combination for our chapter. Finances often drive behavior, and many chapters rely on paid performances (shows, Singing Valentines, etc.) for the bulk of their income. Their summer show earns just enough to continue operations for 6 months, then a winter show carries them for another 6 months. Since they’re always preparing for the next show or event, they have little time left to improve their singing, benefit from coaching, etc. and they struggle to retain and grow their audience. When income is from other sources, a chapter has much more freedom. Dues should reflect the value delivered. 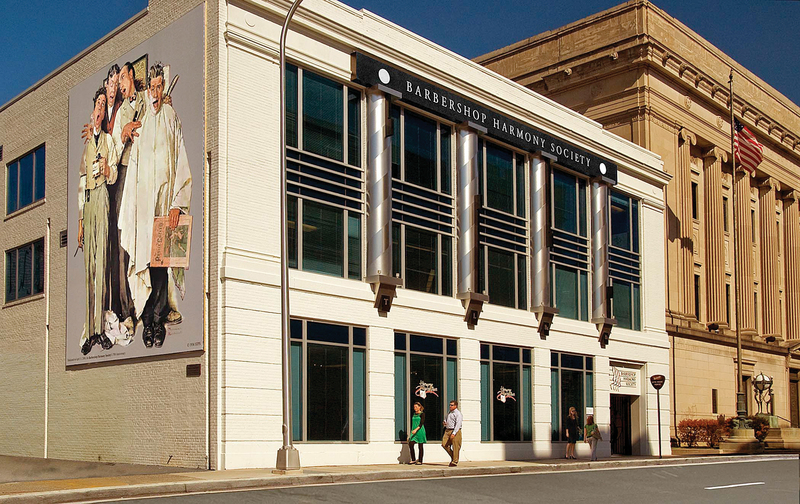 Many BHS chapters have chorus members pay about $5/month ($0.50/hour) for a rehearsal facility, director, 10 hours of participatory entertainment, fellowship, and much more. Compare the value received to similar activities such as golf, bowling, etc. and it’s easy to see that most chapters should be charging more. Donations are easier close to home. Grant solicitation may provide some resources, but chapter members and supporters with financial means are also an excellent source for funding. They should be actively encouraged to make tax-deductible donations to the chapter. 100% of VI’s operating budget for 2016 was covered by donations. Don’t under-price your product. Compare what your chapter is delivering to other arts organizations in your area, and ensure that you’re charging appropriately. You may find that your audience has a greater willingness to pay than you imagine. 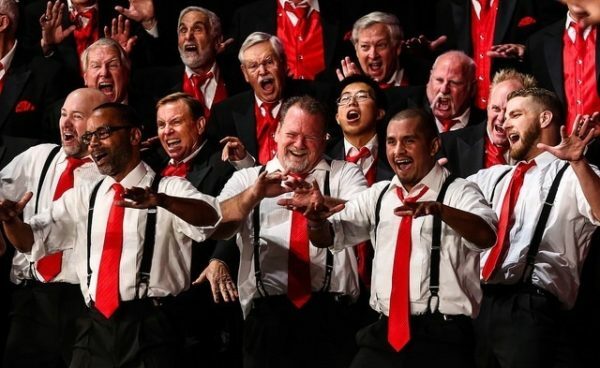 For many choruses, their annual schedule includes two shows, Singing Valentines, Division and District conventions, and any number of unpaid singing opportunities—all in addition to weekly rehearsals. 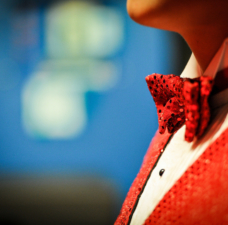 This leaves little time between events to improve singing, introduce and refine repertoire, and so on. A less busy schedule will allow a chapter more time to focus on singing skills. Guest, don’t host. Hosting a show involves facility coordination, ticket sales, program content, ad sales, and much more. Avoid all that by guesting on another chapter’s show, and maybe even get paid. 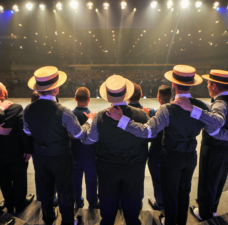 Your chapter can help fill out a show or headline, and it’s a win-win: you get more time for rehearsal and the host chapter has less repertoire to prepare, so they can put a more polished product on stage. You can also partner with one or more chapters to take turns hosting and guesting. Plan for alternating years. Be your best and avoid burnout by not doing everything every year. Year 1 could include division and district events, Year 2 could include Singing Valentines, the International contest, and a holiday show. 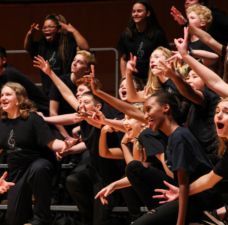 Provide sufficient gaps between events to focus on singing quality, not just quantity. Perform with a purpose. 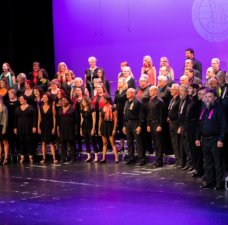 In the months before a contest, guest on chapter shows to give your chorus stage time. If you’re trying to grow your audience, perform a short set on a non-barbershop arts show or an open mic night. Ensure that every performance serves the chapter goals. delivered. Using modern tools, communication can be streamlined and improved. HarmonySite, and others are popular. Google Apps is another solution. Notify quickly and broadly. Ensure that every member has an email address and is checking it daily. Stop publishing a chapter newsletter and distribute the content via email instead. Google Groups and Yahoo Groups are good tools for managing a recipient list and both provide a “daily digest” for those members that want it. All past messages are retained and can be searched at any time. Capture only what’s needed. Consider using Slack, Google Hangouts, Skype, or another group chat application for Board communication between meetings. It’s a quick way to share information, poll members, and vote on motions. At the end of the month, copy/paste the results to a Word doc that becomes the Secretary’s minutes for the next Board meeting. These ideas and many others will be explored at Harmony U, so join us in Nashville to learn more!